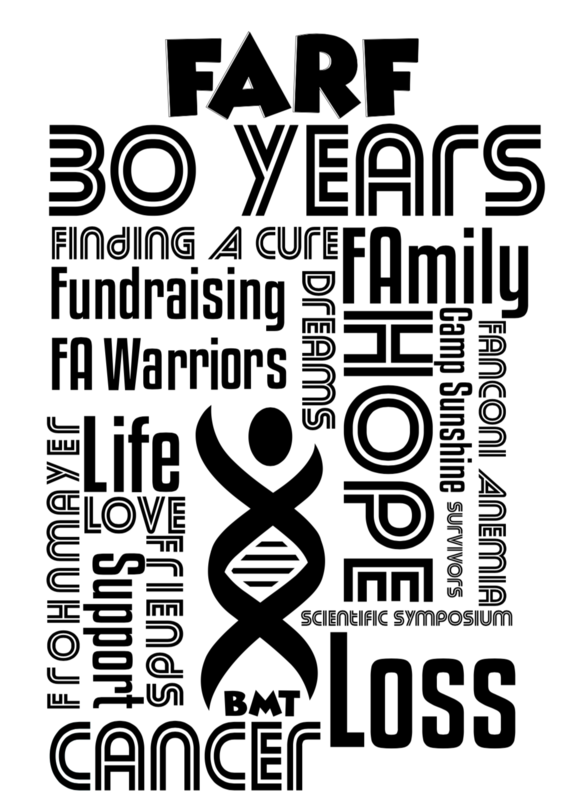 We asked the FA community to help design FARF’s 30th anniversary t-shirt. You all responded with some fantastic entries. We have narrowed down the submissions to six finalists, and now the voting turns to YOU. Please look at each of the six designs and concepts, then click VOTE at the bottom of this page to choose your favorite. Voting will stay open until Thursday, April 25th at 12 pm Pacific. The winning design will be announced on April 26th. The winner will receive a scholarship to the Scientific Symposium, September 19-22, 2019 in Chicago. Shirts will be sold throughout 2019. Concept statement: My concept is to try sum up in a simple way, what we as patients go through every day and why FARF matters. Call it a celebration and a mindful look at our lives. 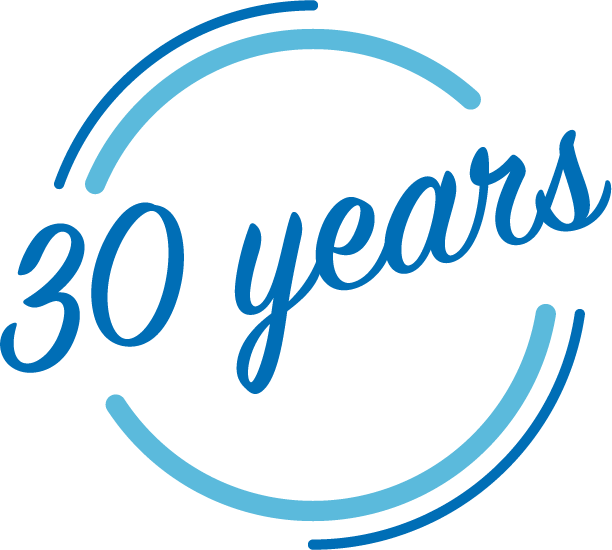 Concept statement: The complete image of “30 YEARS” indicates FARF’s experience, commitment, and dedication to help people with Fanconi anemia and their families. 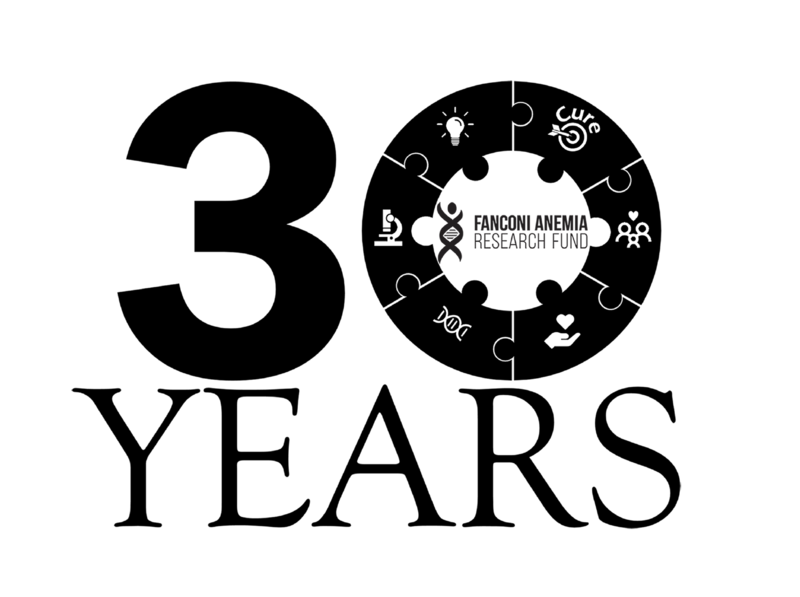 The “0” is a seven-piece ring with the FARF’s logo as the central piece because it connects the other parts, which includes family, support (care), science, research, innovation, and the target; reflecting FARF’s mission to support families and advance research to find a cure. Concept statement: I found out that I have FA about three years ago and as it has taken over my life a bit, it has made me a stronger person and my life is still filled with joy. 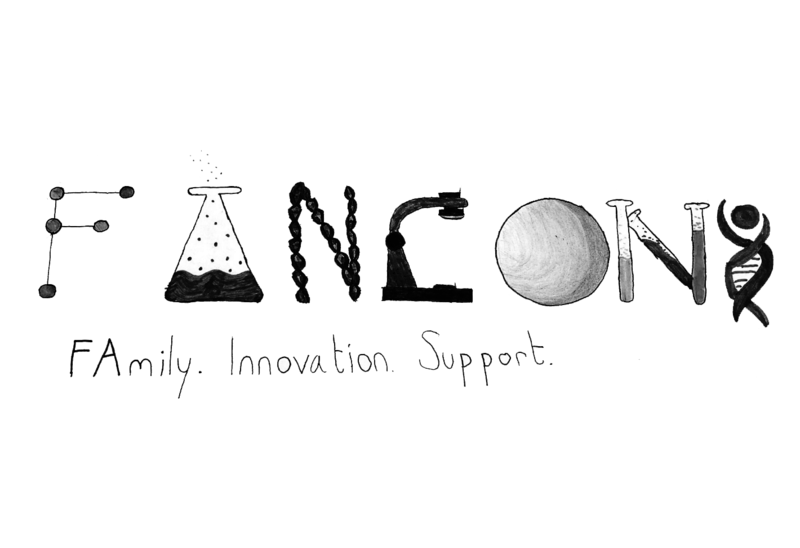 I wanted to share this joy in my cheerful design which features aspects of genetics spelling out the word “Fanconi”. My design is exciting to look at and displays the concept of FAmily, innovation, support, and a little bit of fun! 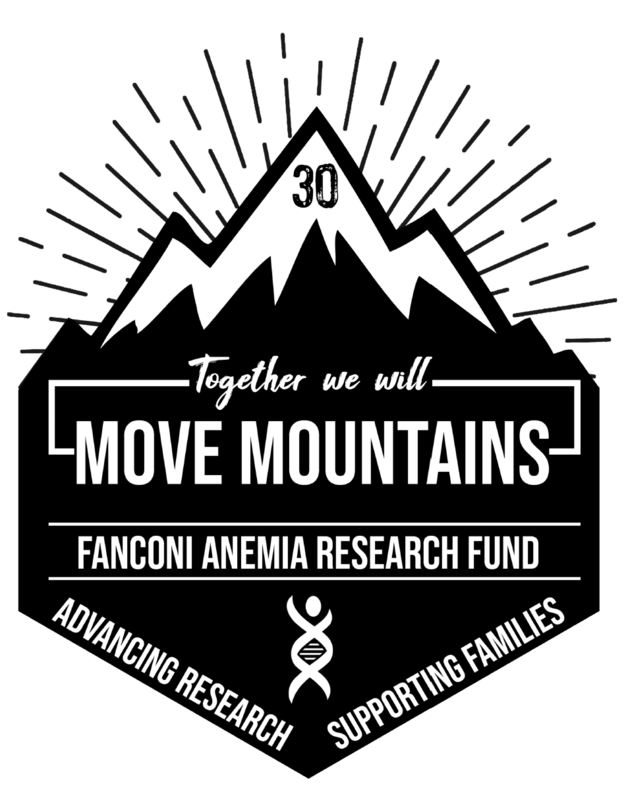 Concept statement: I chose moving mountains as a symbol of the great work that FARF does. Together we can move the mountains of scientific advancement and support each other as we try to move the mountains in our own lives. 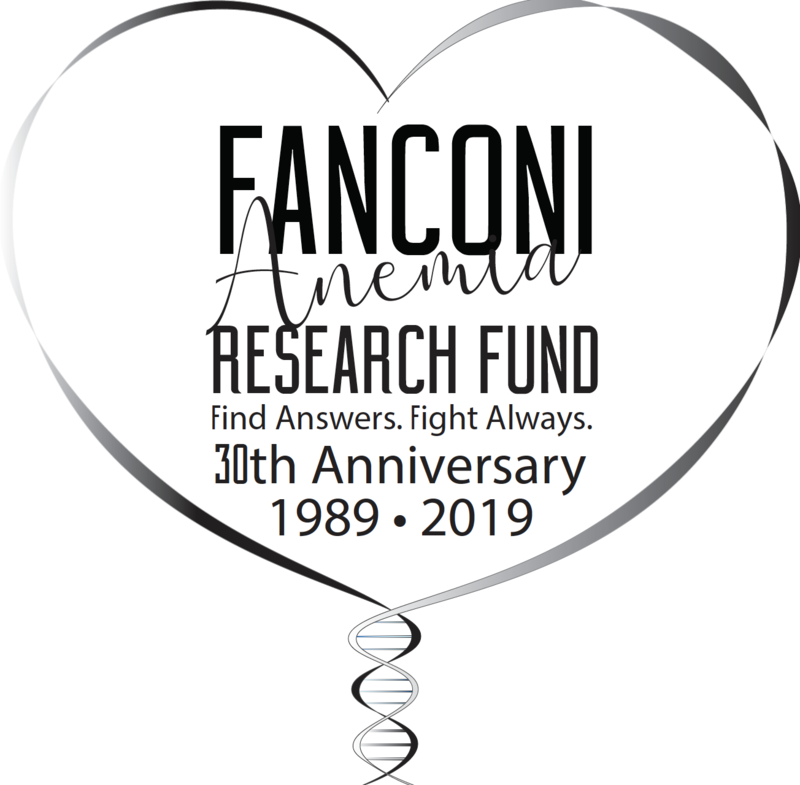 Concept statement: This design reflects the mission of FARF and of all the people involved in the Fanconi Anemia Family. From the scientific point of view, I consider that the “battle” to overcome the challenges that this disease requires the cooperation between scientists, family members, patients, and volunteers. For that reason, the “fight together” message is a powerful way of seeing the end of this pathology. Thanks to a strong link between all the members of FARF and the FA Family, we can see a “Future with Hope”. 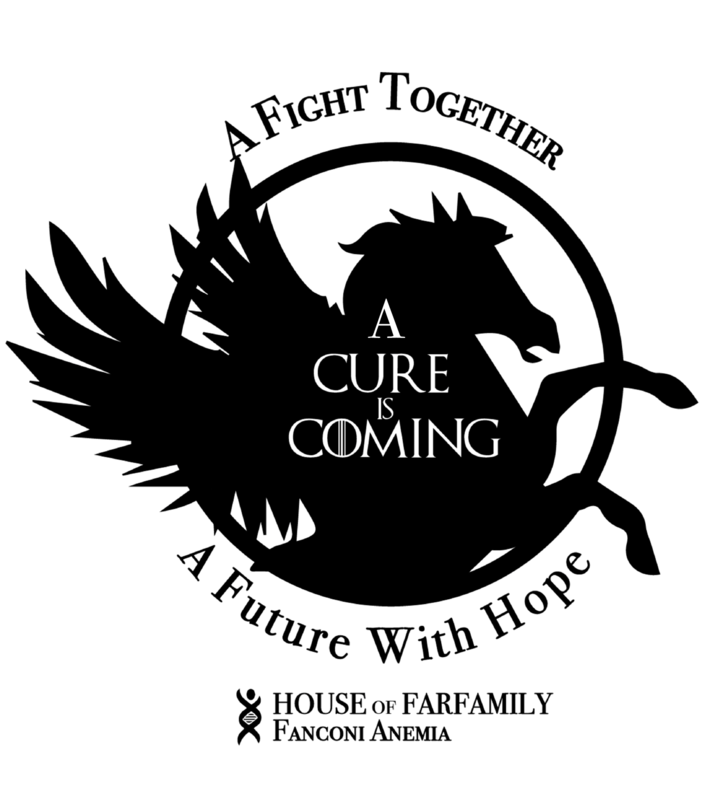 These two messages would be the “shield” of the FARF and FA Family, to be used to find a cure, the final meaning of this design. Finally, the symbol of Pegasus, a mythological hero from Greek mythology, shows how, through a biological and essential component for all beings (the blood), a divine and powerful being is born. Therefore, in reference to the disease, Pegasus shows us that by healing of the blood of people with FA, we can achieve the “divinity” and something as beautiful as this mythological being. With Pegasus, we see hope.